If you’re looking for a good quality, great tasting whey protein shake that doesn’t cost a small fortune… I’ve found what you’re looking for. 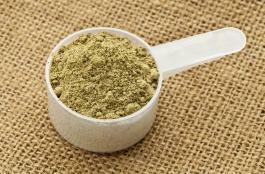 As a regular at my local gym, I’m often asked about whey protein powders. My recommendation is always to go for products that are high in whey protein isolate and/or hydrolysate, because these forms of protein powder are the best quality and contain the highest levels of protein. But the problem is, that products high in whey protein isolate and hydrolysate are expensive. 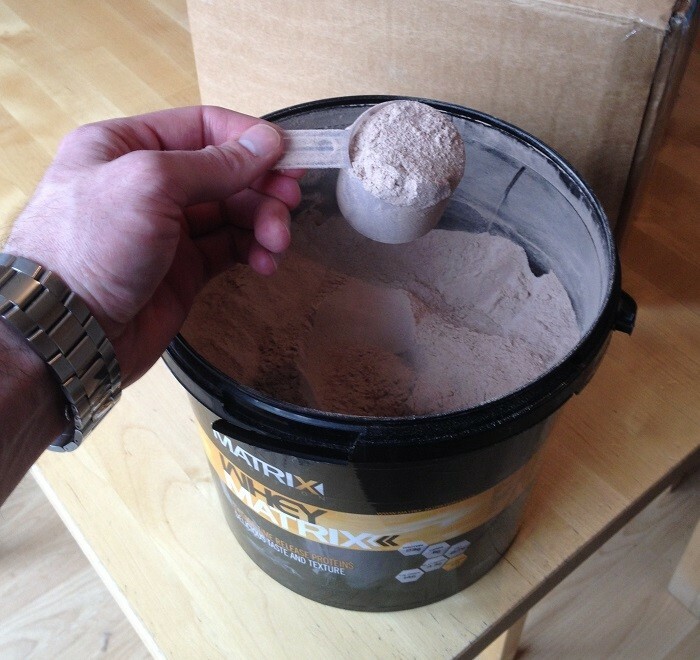 A lot of people can’t afford to part with £50+ for a tub of expensive whey protein isolate. So what’s the next best option? 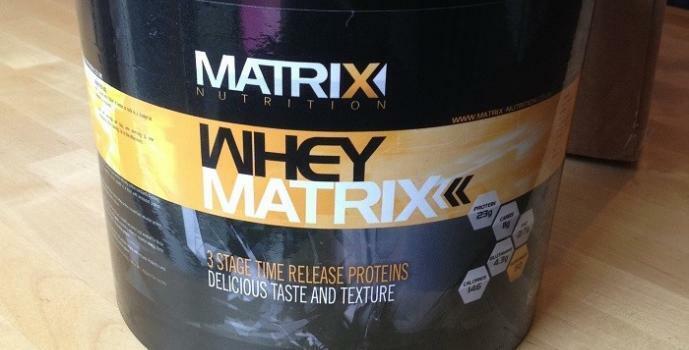 For those who want to keep costs down, but quality high, Whey Matrix by Matrix Nutrition ticks all the boxes. Here’s my quick review of Whey Matrix 2.25k (chocolate flavour). Whey Matrix contains a very high quality, low lactose, cross flow micro-filtered pure whey concentrate that is 80% protein. Now, consider that whey protein concentrate can be as low as 29% protein and contain high levels of lactose (sugar). Whey Matrix contains a superior 80% protein, low lactose pure whey concentrate. Also included in Whey Matrix is Micellar Casein, a high quality slow digesting protein derived from milk. Because Micellar Casein is slow digesting, it would make a great protein drink before bed, providing a tapered supply of protein throughout the night as you sleep. Both whey concentrate and Micellar Casein are naturally rich in muscle building BCAA’s (branched chain amino acids), and as an extra bonus Matrix Nutrition have added 4.3g of Glutamine per scoop. Glutamine is an amino acid found in muscle tissue. Studies show that Glutamine can reduce muscle protein breakdown during intense weight training and improve protein metabolism post workout. Again, this is a nice addition by Matrix Nutrition, and shows their attention to detail in making their Whey Matrix protein powder a quality cost effective muscle building supplement. I’ve tried tons of different protein powders over the year… Reflex Nutrition, Nutrisport, PHD, USN, SCI-MX, CNP, BSN, you name it, I’ve probably tried it. Some have tasted absolutely disgusting, and others amazing. Out of all the protein powders I’ve tried, I found Optimum Nutrition and PHD Nutrition Whey to be the best tasting. PHD Whey protein tastes great and is the brand I use most often. However, I was pleasantly surprised to find that Whey Matrix is on par with PHD Whey in terms of taste. Honestly, this is an amazing tasting shake that you’ll look forward to drinking. It mixes and tastes great with water or milk. No lumps or clumps, just a smooth delicious protein shake every time. 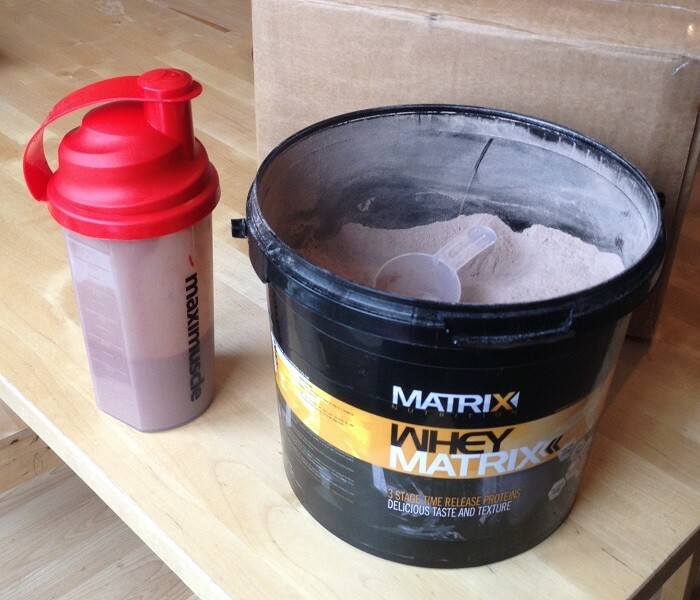 At the time of writing, a tub of Whey Matrix 2.25kg will cost you just £21.99. 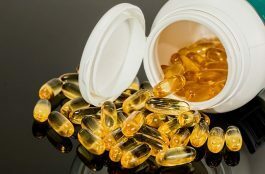 If you’re buying expensive protein powders every month, it’s time to re-think your supplement stack – this deal is really a no brainer!